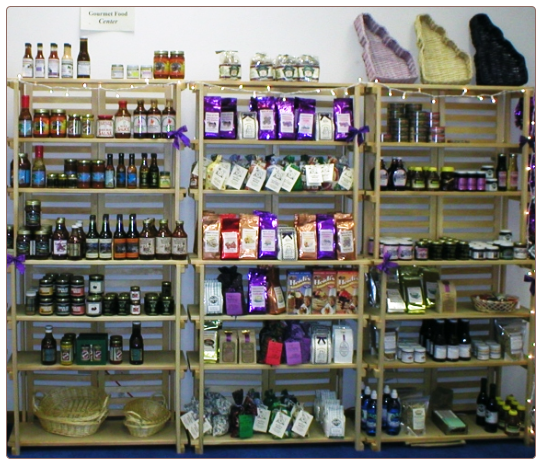 Featuring Idaho's Gourmet & Huckleberry Specialty Foods, Confections and Gifts! Welcome to Tastes of Idaho, a division of Gourmet Innovations LLC! We invite you to explore our growing number of unique offerings and discover for yourself the delicious quality of Idaho's rich gourmet and specialty food industry. Tastes of Idaho features a large selection of baskets, in various shapes, sizes and price ranges. For the creative group, we also offer a 'Build your own' feature where you can choose from ALL our products, a large selection of shred colors and baskets -- including the popular Washington shaped baskets! Tastes of Idaho website includes many of your favorite Idaho-made products from over 25 Idaho-based companies. 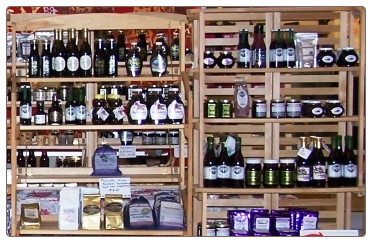 Products include one of the largest selection of huckleberry goodies on the market and THE most extensive collection in Idaho! Choices include huckleberry jam and jelly, huckleberry syrup and huckleberry BBQ sauce. Huckleberry beverages include lemonade, drink mixers, cocoa. 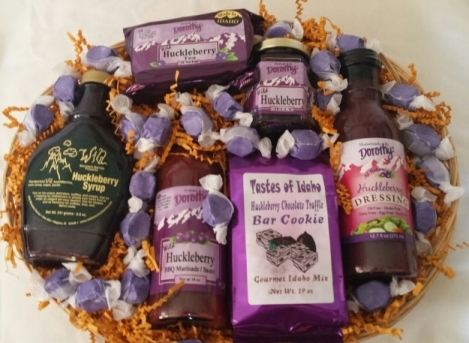 Check out our huckleberry pancake mixes, huckleberry sauces, huckleberry dessert mixes, and huckleberry pie fillings. Listed also are huckleberry vinegar, vinaigrette and huckleberry salad dressings. Huckleberry body and bath products including massage oils, lip "pucker" balms and soaps. Order Now by Web, Email, or Phone! We look forward to assisting with your gourmet gift purchases during the holidays or YEAR ROUND! We unconditionally guarantee 100% SATISFACTION on all products sold on this web site for up to one year! If any product does not meet your expectations, contact us, and we will find a way to make it right! To date, after 100s of online orders, no one has ever asked for a refund or replacement product... but we are here if that ever happens when you order from Gourmet Innovations LLC and our Tastes of Idaho web store!